A man in Russia got a second chance at life when he narrowly escaped a falling crane. 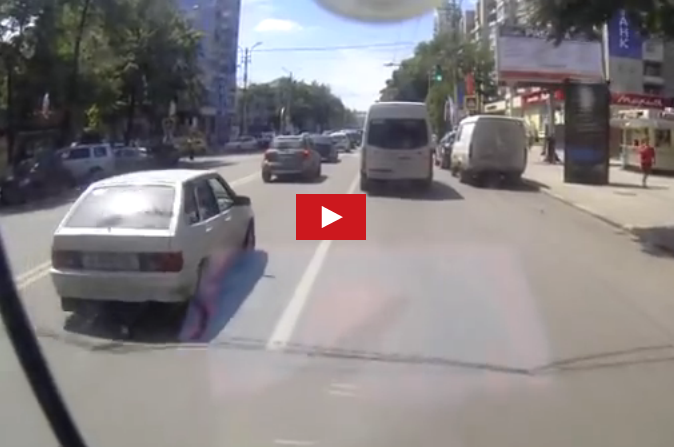 In the footage captured by the dashboard camera of a passing bus, a Russian man wearing a red shirt was walking down the street when a crane suddenly slammed behind him. Had he moved a second too late, he would have been hit by the crane. It's not known why the crane collapsed.